Eldowyn Inshan, creator of United InshCon. Sweetgwendoline Bailey, creator of Sweet Revolutions. Sweetgwendoline Bailey of ~*Sweet Revolutions*~ and Eldowyn Inshan of United InshCon form together Merchants of Dreams, the duo behind the design and build of Sylvan of Spells, the sim they are also sponsoring. They now share the backstory of the sim and what it means to them to be building a Faireland once more. 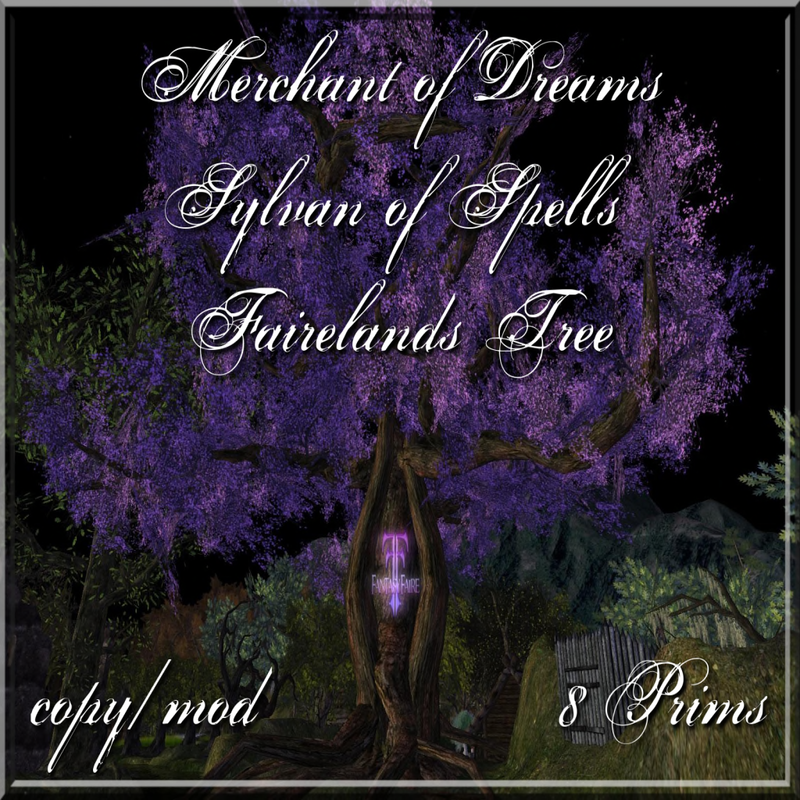 You two are both sponsoring Fantasy Faire and building one of the Fairelands: Sylvan of Spells. What made you decide to join, sponsor and contribute? Eldo: It is a wonderful idea to create a Faire that is charitable. It also gives me great pleasure to support this good cause. Gwen: There are several good reasons for me to support the Fantasy Faire. Cancer is an evil disease, which might hit everyone of us. It doesnt matter of age, confession, social or ethnic background. Affected people and their families have to face this disease out of a sudden and need to deal with all struggles that come along. Knowing that we as merchants in SL are able to support the RFL foundation is the main reason for me to join, trying to help affected people at least a very little. Personally I have already lost very dear ones to cancer. Good friends of mine passed away at very young age already and last, but not least I also lost my beloved grandma to cancer as well. None of us knew about her serious disease, just 2 weeks before she passed away, we did celebrate her birthday, laughed, planning a vacation in fall, but sadly life had other plans. 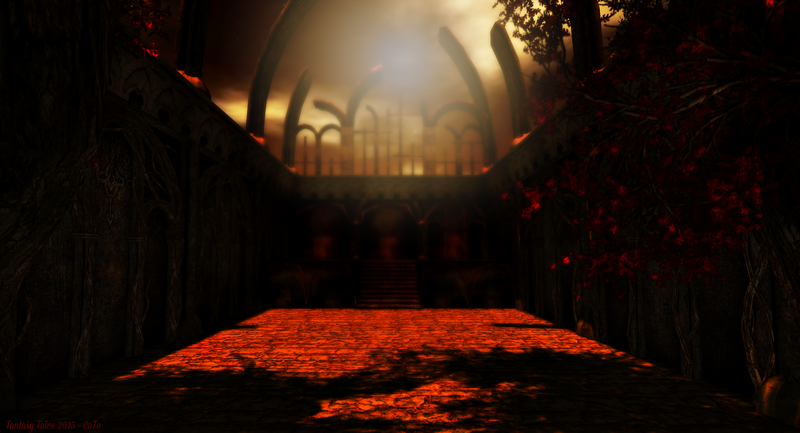 I do know,that SL is just a little part of our lives, but I like to take the chance and opportunity to support the Fantasy Faire with my building skills and creativity. If any of that helps to cheer people up, brighten up their lives, make them forget about bad things, I feel honored to do so. How was Sylvan of Spells born? What inspired it, what is its story? 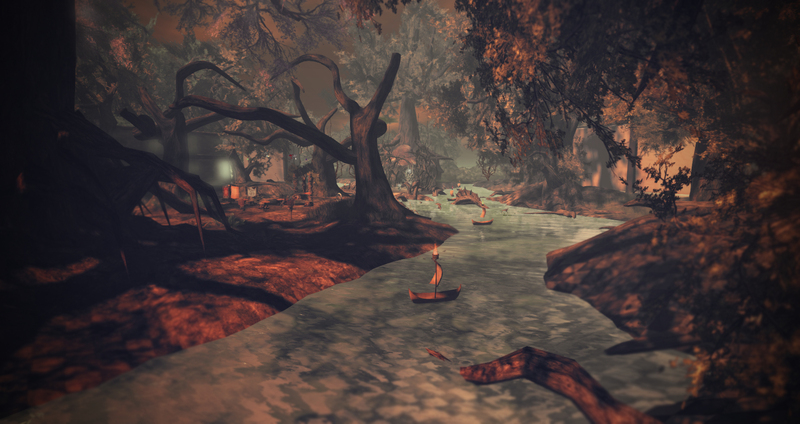 Gwen: Last year we designed the Fantasy Faire sim “Heavenslough”, it has been our first year as world creators and we were so nervous, but also happy for the opportunity to be a part of this amazing community. We never expected that this will happen again and so we feel honored that Elizabeth asked us again to create one of the Fantasy Faire sims for this year. Last year, Runa and Eldo did scare me. They both said that they have to talk serious to me and that we have to clear something out. My first thought was… Oh hell what have I done? I supposed they both were angry with me. After a bunch of seconds they both started laughing and told me that we have the honor to create a sim for the Fantasy Faire. 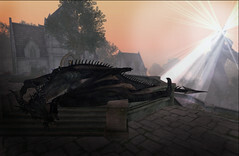 After Elizabeth contacted me and asked if we want to create a sim for this year’s Fantasy Faire again, I called Eldo. I told her to sit down and take a deep breath. She asked me what happened and I knew this was the right time to pay back to her. I told her to be very brave now and that we have to clear something. She took a deep breath and asked what happened. I did wait a few seconds but couldn´t hold back and told that Elizabeth contacted me and asked if we want to create a sim for the upcoming Fantasy Faire. Right at once we started brainstorming and “Sylvan of Spells” was born. In a far away land, inbetted of huge mountains, peacefully lies the “Sylvan of Spells”, a magical forest full of shy and mystic creatures and peculiar vegetation. Old tales tell about a powerful magician, who lived in a huge pompous library far in the west. It has been his quest to protect the other residents due to the power of the four elements and to spread their words and stories into the rest of the world, so their myths was kept alive. The stories told about huge trees with roots as large, that people could live in them and about grasses with luminous runes dancing in the wind and filing the meadows. About flying creatures with wings of book pages, easily mistaken for a common butterfly at first sight and from shining lights, wandering across the lake with its isles, playing a smooth melody which cast a spell over anyone listening. But one day in happened, that the magician disappeared and so did the ancient book of knowledge and the four crystals of elements. 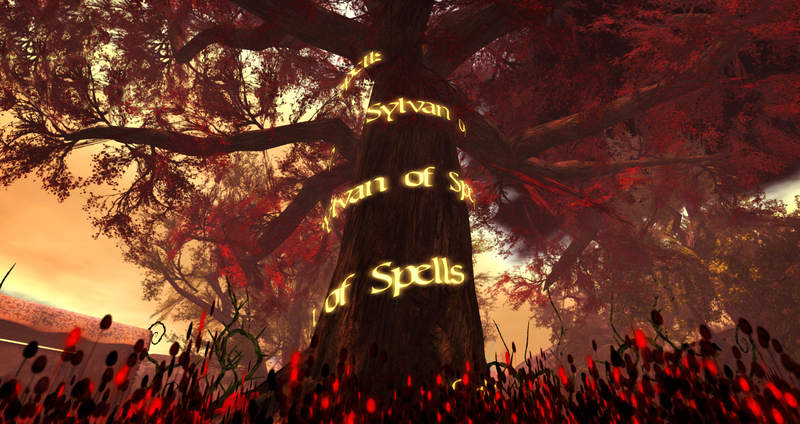 The stories and wisdoms of “Sylvan of Spells” vanished, the knowledge about the powerful source of the elements got lost. Only a few myths kept alive. Gwen: This year I added the four elements fire, water, air and earth into my creations and started a new line of trees, decoration and roleplay stuff. 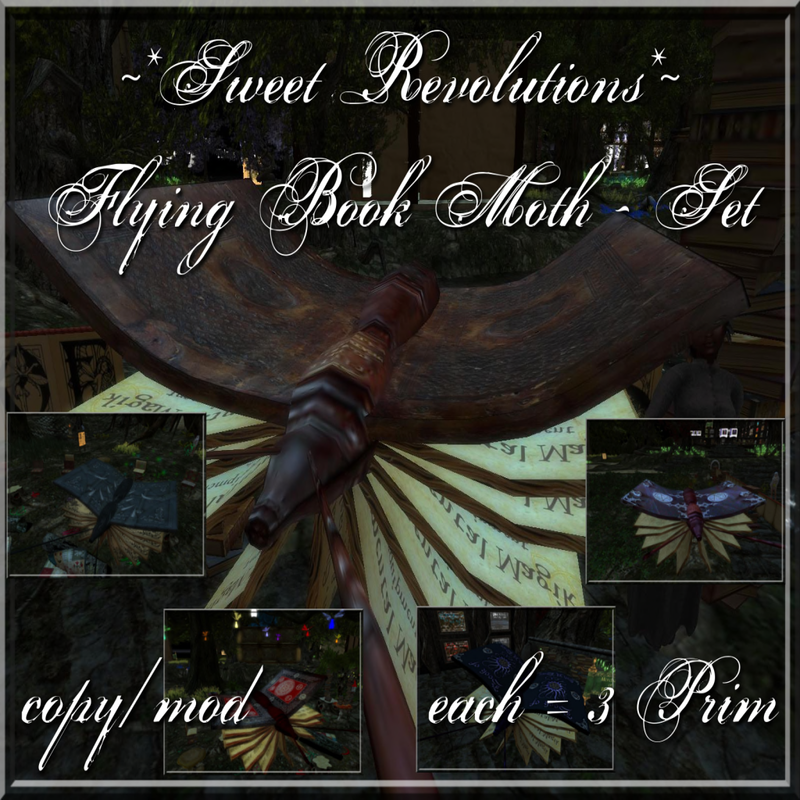 Also the literature and music theme is a part of the new line, as you will find Flying Book Moth and Flying Music Souls. 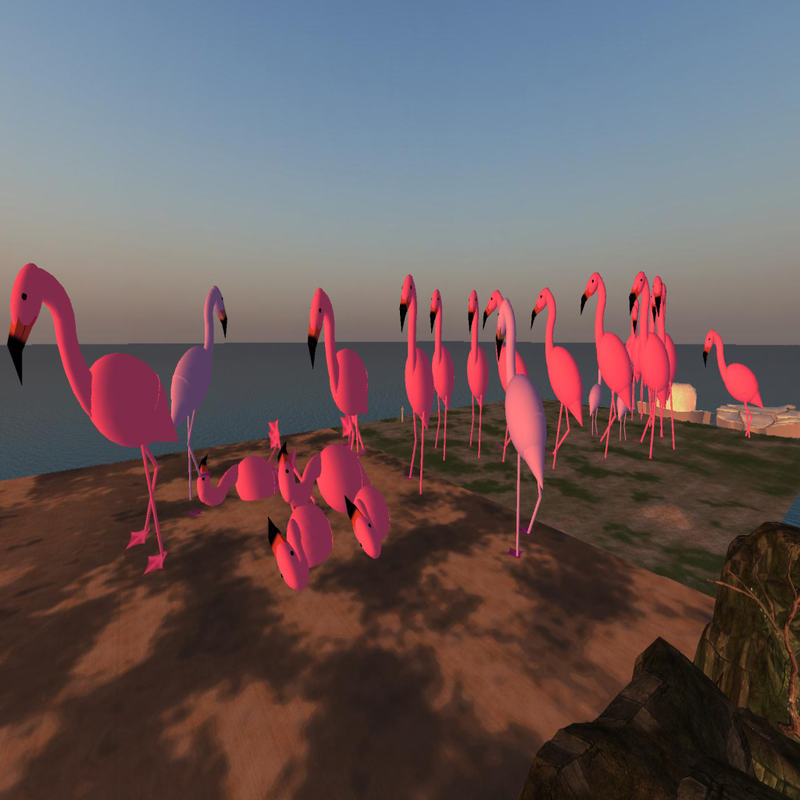 What is the best thing about building in Second Life? Which things inspire you, make you happy and satisfied when creating? Eldo: You can fulfill your dreams in a way that would never be possible RL. For example: a talking duck in battle armour that requests road toll. 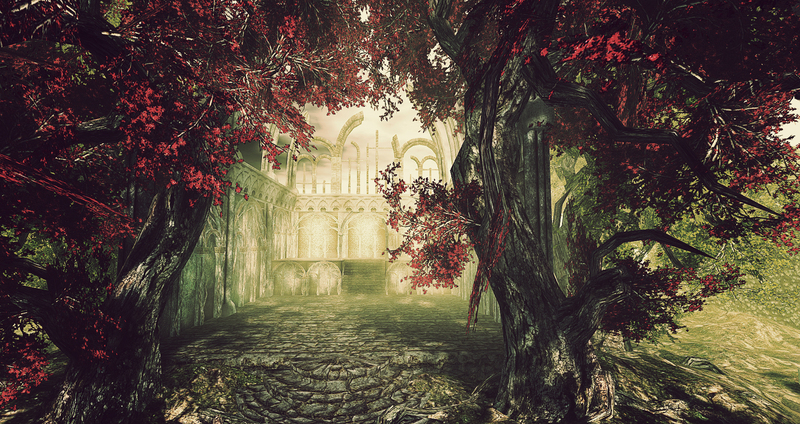 Gwen: Building in SL means more to me, than just stacking prim cubes. Every building is created and based on a idea, a fantasy. Every creation carries feelings and memories, has a soul of its own. The medieval and fantasy theme is fascinating me. It feels like to plunge into a world of secret mysteries and darkness, it allows me to create my own fantasies and stories. Also I feel happy to watch people using my creations, see them exploring, and roleplaying with them, to see them in a new content. I feel good by making others happy with my creations, no matter if for roleplay or goofy objects, like my creation of a rideable truffle pig. 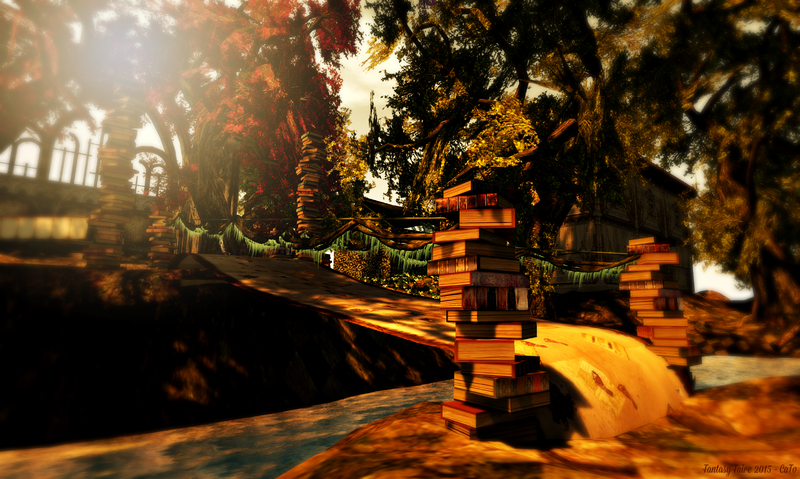 To build in SL allows me to take part in the life of others, and allow others to take part in my life. I feel at peace then. What are your favourite fantasy realms? The Physician (Der Medicus), – my Quack set for RP is based on this movie. Gwen: I love the medieval and fantasy theme. Books from Wolfgang Hohlbein, Alfred Bekker, Brandon Sanderson, Cornelia Funke, Anne Rice and also a lot of movies and series like Pans Labyrynth, Never Ending Story, Momo, The Chronicles of Narnia, Lord of the Rings, The Hobbit, Brother Grimm (the old fairytales of my childhood) , they all inspire me. Do you have a favourite Faire memory? What are you looking forward to most in this year’s Faire? Eldo: The wonderfully beautiful memorials, that have been created for families and people who suffered a tragic loss. My wish is for the Fair to be as successful this year as it was last year. Gwen: There is no special favourite Faire memory to me. To be a part of this wonderful community, to meet such creative and dear people from all over the world, to share time with them by a “unicorn hug” or “coffee and chocolate sessions” is just amazing. To see, how the Fairelands grow from desert areas overflow with flamingos into different amazing world is pure pleasure to me. All of this together builds my favorite memory. Thank you, Eldo and Gwen, for taking the time to talk with us. 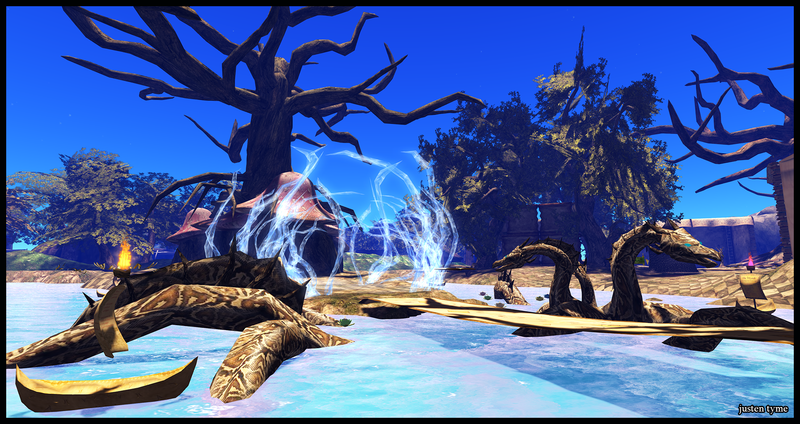 Thank you for bringing Sylvan of Spells to life and for providing such a fitting place for sharing stories in!